Nora’s second IUT went great today. 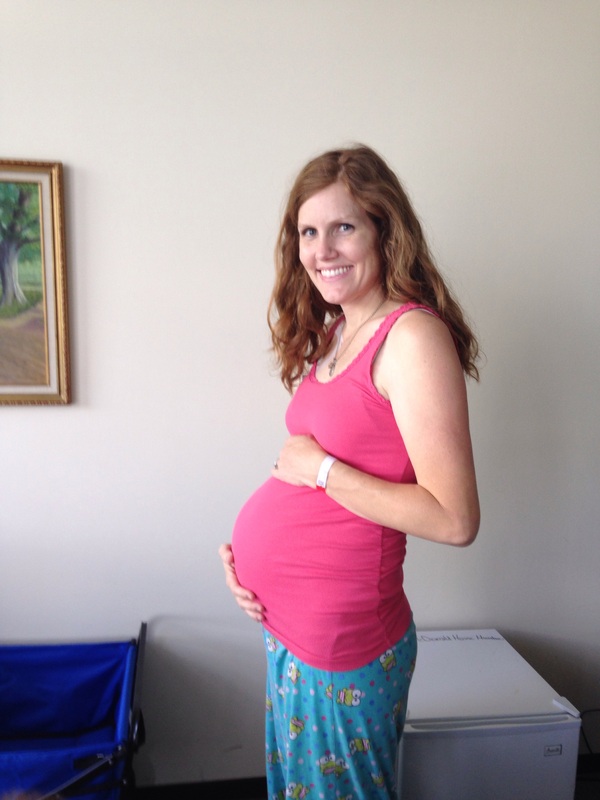 I was a lot less nervous because I’m now 26 weeks and Nora would probably survive if she had to be delivered. Everything went smoothly during the procedure. Her starting hematocrit was 27 and they got her up to 38, which is very good. I didn’t have any contractions after it was over and Nora started kicking as soon as her sedation and paralytic meds wore off. She still needs to make it through the next 24 hours safely. They will do an ultrasound tomorrow morning to make sure she is still ok. I’m exhausted and I have a pounding headache so I’m going to bed. Thank you all for praying for us today. We appreciate every single one of you! Today was my 26 week check up and pre-op appointment. I had prepared myself for bad news at today’s ultrasound. Nora’s movements have noticeably decreased over the past few days. I do a kick count every day to monitor her movements. It usually takes her about nine or ten minutes to get ten kicks in, but lately it has been taking her around thirty minutes. I became more and more anxious every day leading up to the appointment and was expecting the doctors to see some hydrops and possibly heart damage from the anemia. I kept replaying the ultrasound we had a week after Lucy’s transfusion where they told us the hydrops had spread, her MCA scan was 2.7 and her heart was now damaged. It’s amazing how fear can grow into a giant, dark presence that overtakes your life if you let it. Well, Nora looked great today on the ultrasound. Her MCA scan was 1.2! She showed no signs of fetal hydrops and oh my goodness, how she has grown! Two weeks ago she weighed one pound nine ounces and today she weighed two pounds seven ounces😳 The ultrasound technician said she was around the 75% for size for a baby at this gestation. Dr. Moise later said she is in the 93rd% for a 26 weeker. He asked how big my last son was and I told him Asher was over ten pounds. 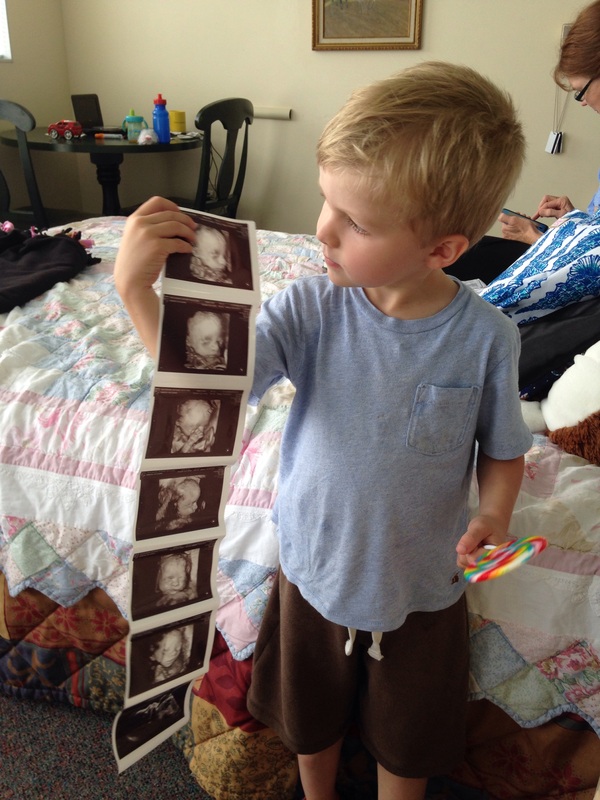 He said Nora is right on track to be as big as her brother, which makes me extremely happy since she’ll be born early. I wonder if her space in the womb is getting more cramped and that’s why her movements seem to be slowing down? 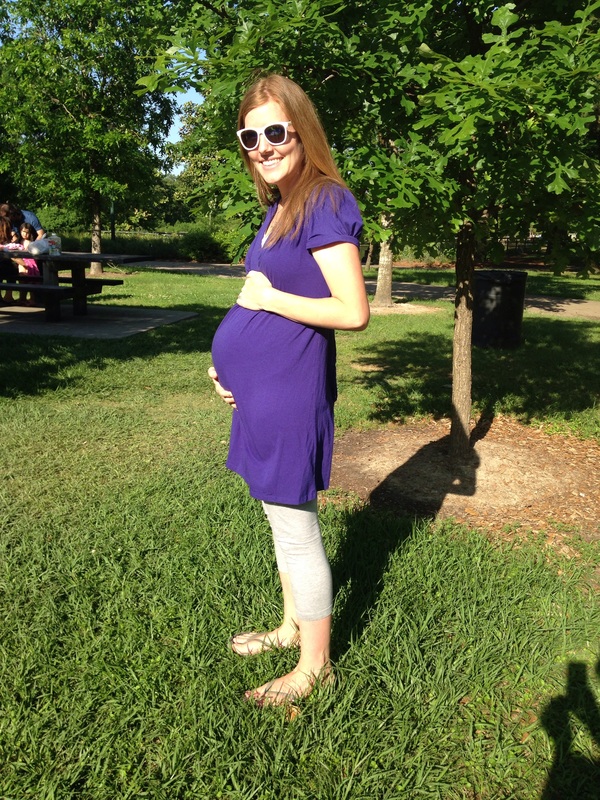 Dr. Moise said ideally my last IUT will be around 35 weeks and then I might be able to wait until 38 weeks to deliver. 38 weeks! I can’t even imagine how wonderful that would be. He also said if I can make it that far Nora will only spend a few days in the NICU (probably.) Babies at 35 weeks are still developing and their livers are not completely mature so it’s harder for them to handle the anemia after they’re born. If Nora was born at 38 weeks she could get rid of the anemia more efficiently and go home sooner. After all of my fear and worry, the appointment went so well and I left feeling hopeful. Nora still needs all of your prayers, especially tomorrow. She will have her second intrauterine blood transfusion at 11:30 tomorrow. Dr. Moise reminded me that sometimes the baby’s heart rate will drop when he puts the needle in her vein. If they can’t get her heart rate back up they will have to put me completely under and deliver her by c-section immediately. I asked if he could get her out in time and he said he could get her out in 30 seconds! I don’t even want to imagine what he would need to do to my body to get her out that quickly. The whole neonatal team will be there ready for Nora if she has to be delivered. Please pray that April 28th is not Nora’s birthday. I do not want my August baby to be born in April. I would also love for you to pray that I would have peace and courage tomorrow (it is very scary for me.) Thank you all for your sweet comments, your prayers and your constant support. I will try to update the blog tomorrow night after her blood transfusion. On Monday I had my 25 week check up. I expected everything to be perfect since Nora had been kicking and moving like crazy ever since her transfusion. The doctor did an MCA scan and it was somewhere around 1.6! That means (supposedly) that Nora is quite anemic even though she just had a blood transfusion a week ago. Dr. Moise did say that MCA scans become unreliable after transfusions start, but we were still expecting to see a lower number. Other than the high MCA scan Nora looked great. She was very active during the ultrasound and there were no other signs of anemia. Dr. Moise was out of the office when I was there so they said they would talk everything over with him and then call me with their decision. The doctor was surprised at such a high number on the scan and was confused because she wasn’t acting anemic. I was told to prepare for the possibility of doing an IUT on Wednesday (yesterday) instead of next week. I felt stressed out and anxious after the appointment. I remember when Lucy had her IUT and the doctors were so happy because they thought it had been a complete success. We all sighed with relief and praised God for the miracle He had performed. We thought she had been saved. I never felt her move again and she died a week later. I wondered if something similar was happening with Nora, although she was being very active. Why was her MCA scan so high? After a few hours the doctor called and said Dr. Moise had decided to stick with the original plan and transfuse next Tuesday. He wasn’t alarmed by the high numbers from the scan and thought she would be ok for another week. I feel uneasy about it (and I would feel uneasy about transfusing this week too) but I have to make a decision, again, to trust Dr. Moise with my daughter’s life and to trust God at every turn. This whole pregnancy is an exercise in submitting my will to God’s plan and laying my fears at His feet, over and over again. I am really tired of worrying about Nora and wondering if she is ok. There is a constant uneasy feeling right under the surface, probably the same feeling a parent has when their child goes off to war. My baby is living in a very unsafe environment and she is so vulnerable. I have also noticed that her movements seem to be getting more sluggish, especially compared to the week after the transfusion. 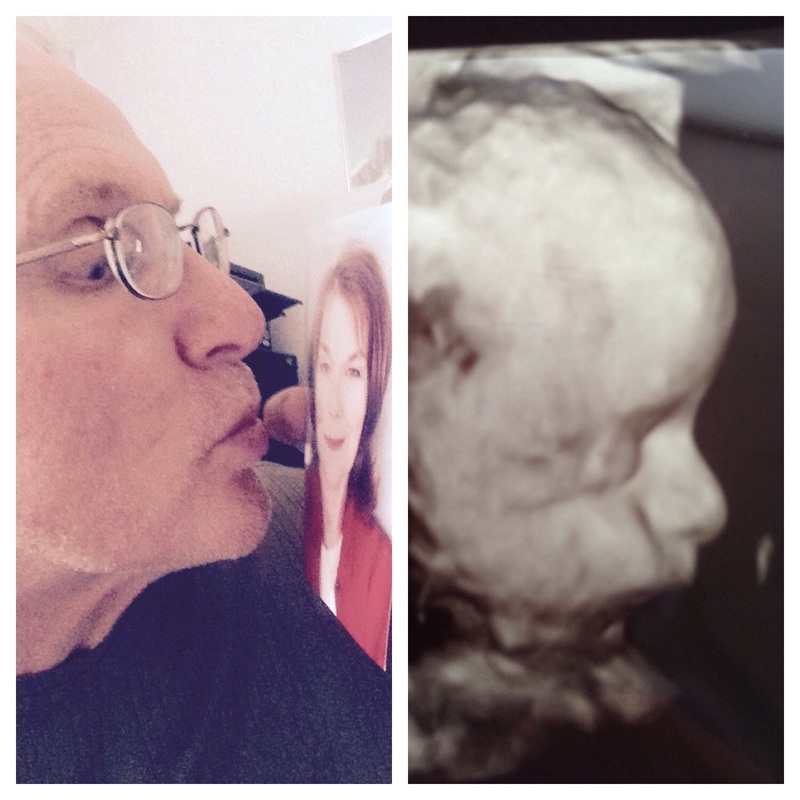 I got some 3D ultrasound pictures of Nora at the appointment. Oh, how I loved seeing my girl!! But to be honest some of the pictures kind of looked weird…her face was all lumpy and her nose looked weirdly gigantic (I think most 3D ultrasound pictures look a little distorted.) The main thing that stuck out to me, though, was how small and premature she looked (because she is!) Most doctor’s offices won’t even do a 3D ultrasound until after 28 weeks because the baby looks chubbier and more developed in the third trimester. The pictures reminded me how much longer Nora still needs to stay in the womb to finish “cooking.” She is not ready to come out and would be severely premature if she was born anytime soon. That stressed me out since it happened at the same time as the high MCA scan. She needs to get out of the dangerous environment of my womb, but she also needs to stay in and finish developing. I just want my daughter to be safe. Please pray that Nora gets through this week ok and still looks good at her pre-op appointment on Monday. Also pray that I will know if and when I need to go back in and have her rechecked if her movements continue to decrease. Also, Asher loved being able to see his little sister in 3D and picks up her pictures everyday and kisses them (they’re starting to get sticky) and says, “Oh my baby Nora! 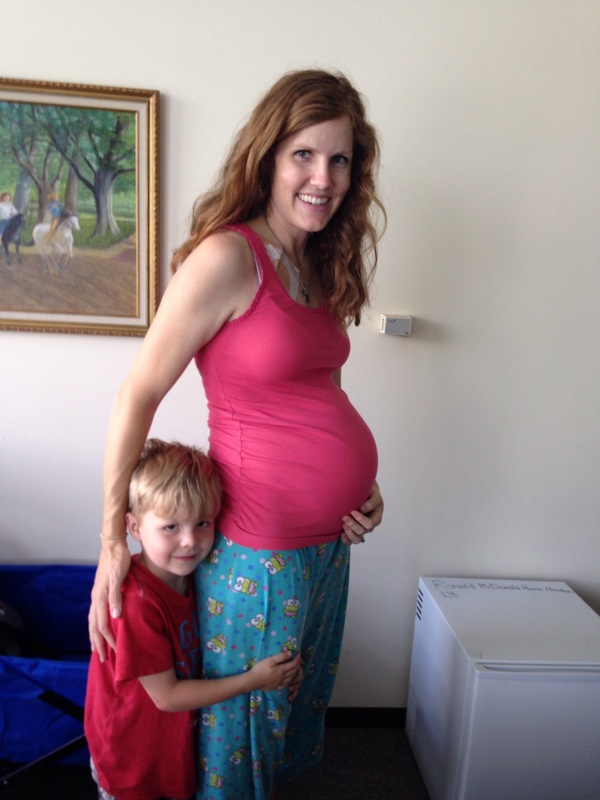 Look Mommy, it’s baby Nora!” He can’t wait for her to be here. Can you tell that my Dad misses my Mom? I’ll end with a quick story from this past weekend. A few weeks or maybe months ago I got a message from a woman named Amanda who had read my blog. She also had two kids and had decided to adopt their third baby. I think I’ll share her whole story later on my blog but basically she and her husband went through four failed placements in about a year. FOUR! I cannot imagine. Anyway, she said she lived in Houston and her husband was a pastor at a church here and she invited us to come to her church. This past Sunday we finally tried it out and it was wonderful! Right when we got there Amanda found me and introduced herself and was so kind. After we found our seats I decided to get some coffee and on my way there I passed a familiar looking woman. It took me a minute to figure out how I knew her…she is one of Dr. Moise’s ultrasound technicians, the one who always does the MCA scans on Nora. It was fun to actually run into someone I knew. So I went to get the coffee and there in front of me in line was another really familiar looking woman. I thought, “Where do I know HER from?” and I could NOT figure out how I knew her but I felt like I was looking at an old friend, someone who made my heart feel warm and happy. Then I realized it was Beth Moore! (Definitely google her if you don’t know who Beth Moore is, or even better, do one of her Bible studies!) I wanted to be really annoying and tap her on the shoulder and say “Oh my goodness, are you Beth Moore? I LOVE you!” But I swore to myself a long time ago that if I ever actually ran into someone relatively famous in real life I would not intrude in their space and bother them, so I didn’t. I just left her alone and got some coffee and went back to my seat. The service was awesome and refreshing. Afterwards, my Mom and Asher and I were walking back to our car when Amanda came running after us. She said, “Hey, I was hoping to catch you before you left. Would it be ok if my mom prayed over you and Nora?” So I said it would be great and guess who her mom was? Beth Moore 🙂 What a surreal moment! We met her and her husband and Amanda’s kids (who are so cute) and Beth Moore put her hands on me and prayed for my little Nora right there. It felt like a direct gift from God, an anointing on Nora’s life, the sweetest blessing for my baby girl. If someone asked me, “If there was any one person in the world who you would want to pray over you and Nora, who would it be?” I would probably have said Beth Moore. I respect her so much and her work has had a direct impact on my spiritual growth since I did my first Beth Moore study in college. How amazing, that God went to all that trouble to give us this precious gift! And how kind of Amanda and her mom, to welcome us and pray for Nora even though they don’t know us. It was definitely the highlight of my week. I hope you all have a good weekend! I’ll update after Nora’s appointment on Monday. Just wanted to write a quick update after Nora’s appointment today. Dr. Moise did an ultrasound this morning to make sure Nora made it through the night ok and tolerated all of the extra blood she had been given. I was a little worried because even though I could feel her moving she seemed quite lethargic compared to her normal activity. During the ultrasound she started moving like crazy and has been very active all day since then. I think it just took a while for all of her medications to wear off, plus she was probably tired after such a long day yesterday. Apparently she’s very excited about not being anemic 😊 Anyway, Dr. Moise said she looked great on the ultrasound and the transfusion was a complete success! She won’t need another transfusion for two weeks, which means she’ll be at 26 weeks gestation for the next procedure. If something goes wrong and she has to be delivered during the surgery, her survival rate will be much higher at 26 weeks compared to 24 weeks. Thank you all for praying for our Nora. She is a fighter! 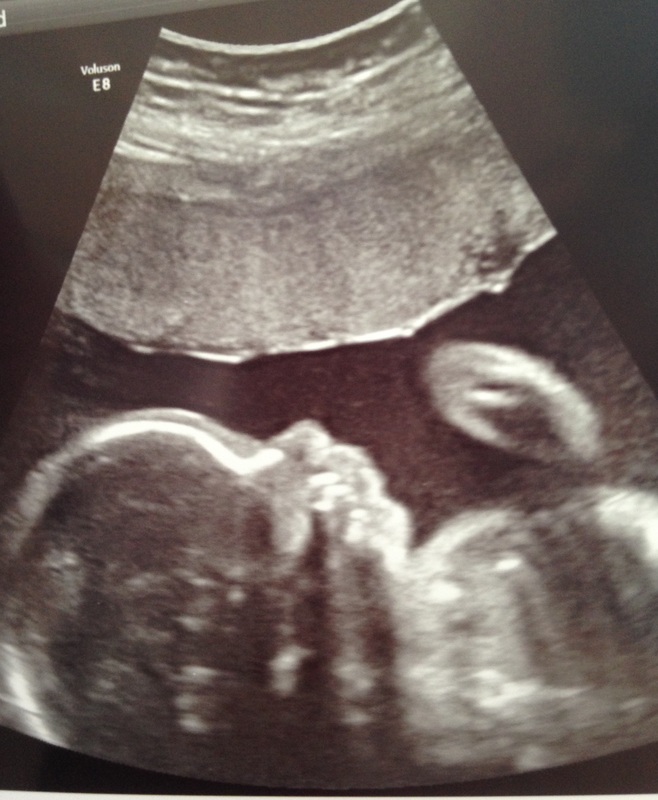 Here’s her cute profile from today’s ultrasound. First Transfusion Was a Success! We’re still not completely out of the woods since the first 24 hours after the IUT are the most dangerous. Please pray that Nora is kept safe all night in my womb and that no complications arise. Although she is moving, she’s not quite as active as usual so hopefully her kicks and squirms will increase soon. They will check her again tomorrow morning at 9:00 and if she’s still ok, then she has truly come through the procedure safely. The cardiovascular surgeon came in after the IUT and removed the permacath (port) in my neck. I was surprised how they did it. Basically they snipped the remaining stitches away then grabbed the port and JERKED it right out of my neck. 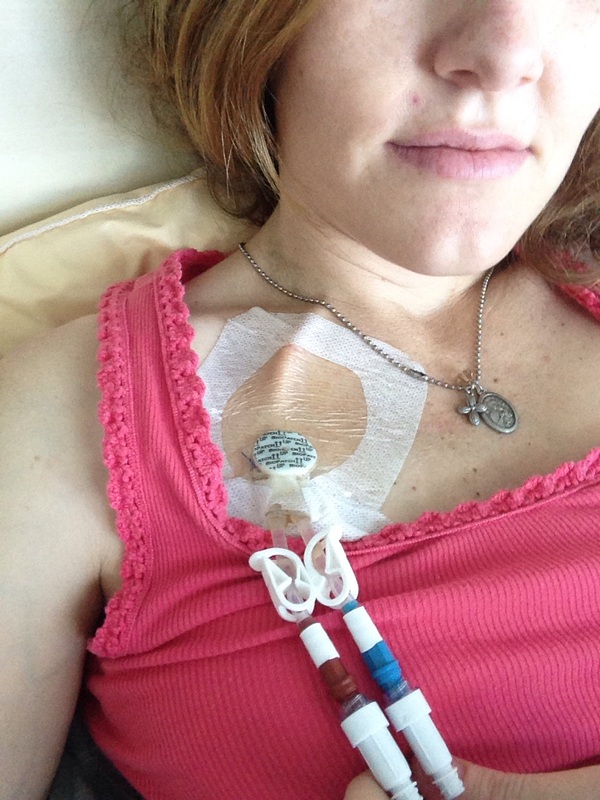 The tubing had gone up my jugular and then all the way down to the opening of my heart so I couldn’t believe how roughly and quickly they yanked it out in one swift motion. 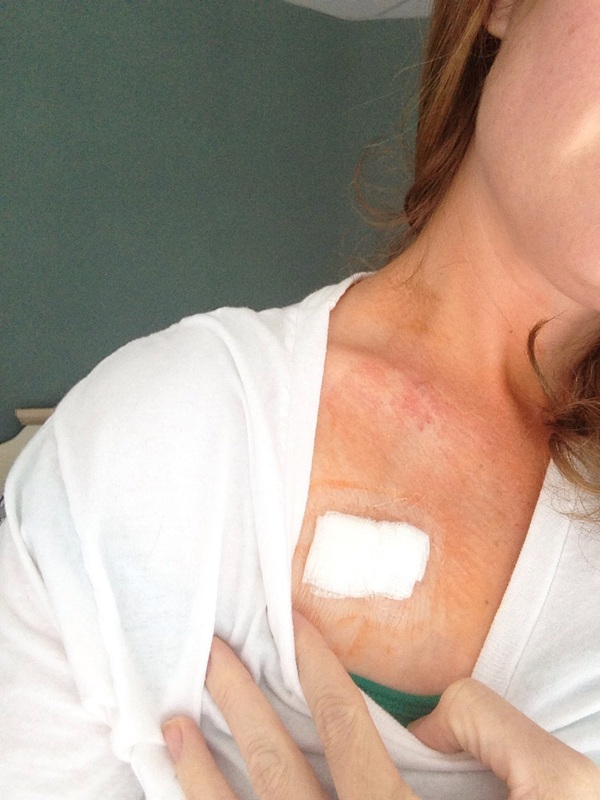 The doctor then applied pressure to the hole left in my jugular for about ten minutes. No stitches or glue or anything! They said the body is very good at repairing itself and the blood coagulates well enough to seal the opening. They put a little bandage over it and said I could actually take a SHOWER tonight! I am so excited! I was so impressed today by many people, I just have to brag. 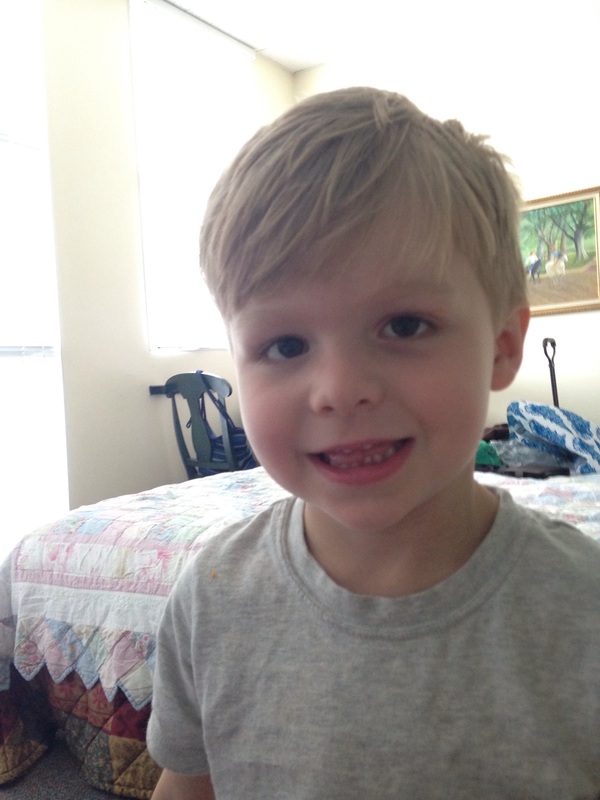 My little Asher was woken up at 5 am in the dark and dragged to the hospital with us. Then he had to contain himself and be patient for hours while I had the procedure. He fell asleep in his wagon and was such a cheerful boy when he woke up. I love him so much. He told Grandmama and me over and over again today how much he loves us and he even told me on the way home from the hospital, “Mama, you were such a good patient today! You did a great job.” Seriously, how did I get so blessed? Psalm 59:16,17 But I will sing of your strength; I will sing aloud of your steadfast love in the morning. For you have been to me a fortress and a refuge in the day of my distress. O my strength, I will sing praises to you, for you, O God, are my fortress, the God who shows me steadfast love. I smile every time I read these words just like I did today during a VERY anxious moment in the hospital. Is there anything better in life? A God who shows me steadfast love regardless of how my circumstances turn out, a fortress and a refuge during my time of distress. STRENGTH when I am at my weakest. What more reassurance do I need in life? Thank you, Lord, for who you are and thank you performing a miracle today. Unfortunately, my appointment today didn’t go that well. Nora will need her first intrauterine blood transfusion tomorrow, poor baby. Her MCA scan wasn’t that much higher than last week, but there were a few other signs of anemia and Dr. Moise said we’ve pushed it far enough. Her levels were mostly between 1.5-1.6, with two readings at 1.4. Dr. Moise noticed the beginnings of a little bit of fluid starting to build up in her intestines and her heart looked a little dilated, both signs of anemia. Other than that, Nora looked great and is measuring right on track at one pound nine ounces. I just want to say how thankful I am to have the best doctor in the nation taking care of my Nora. He knew exactly when the right time for her transfusion was because he knew just what to look for on the ultrasound. I feel very confident with him in charge and it is a HUGE relief. It was hard to be at the appointment alone, without Josh to help me take in all the information and make big decisions. I was asked if I wanted to try to save Nora if there was a complication or just let her die peacefully, since her odds of surviving outside of the womb aren’t that good. I have watched helplessly as my other daughter died without intervention and I don’t intend to do it again. We will fight with every intervention possible, if needed. I was given the first of two steroid shots to develop her lungs and will be given the other one tomorrow morning before the procedure starts. The whole neonatal team and pediatrician will be in the operating room tomorrow in case something goes wrong and we have to deliver. Occasionally (rarely) the baby’s heart will start to slow down when he puts the needle in the umbilical vein. Usually the heart rate goes back up if he takes the needle back out, but sometimes it continues to get slower and slower. If that is the case, he has some drugs ready (can’t remember what they’re called) that he would give her to jump start the heart rate and get it back up. If that still doesn’t work, they will sedate me and do an emergency c-section and have Nora out in minutes. If she does have to be delivered, her odds of survival are pretty low since she’s only 24 weeks and 1 day and she will be anemic and sick to start off with. The steroid shots will help her lungs, though. I was told there is a very small chance that she will have to be delivered tomorrow, so I’m clinging to that hope. There is a 1-2% chance that Nora will die from complications associated with the surgery, such as premature rupture of the membranes, premature labor, infection, placental abruption, etc. Please pray that NONE of these complications arise and that Nora comes out (or rather, stays in) safe and healthy. So, now that I’ve got the worst case scenarios out of the way, I’ll try to explain how the procedure will go tomorrow. It will start at 7:30 am and they will start by partially sedating me. 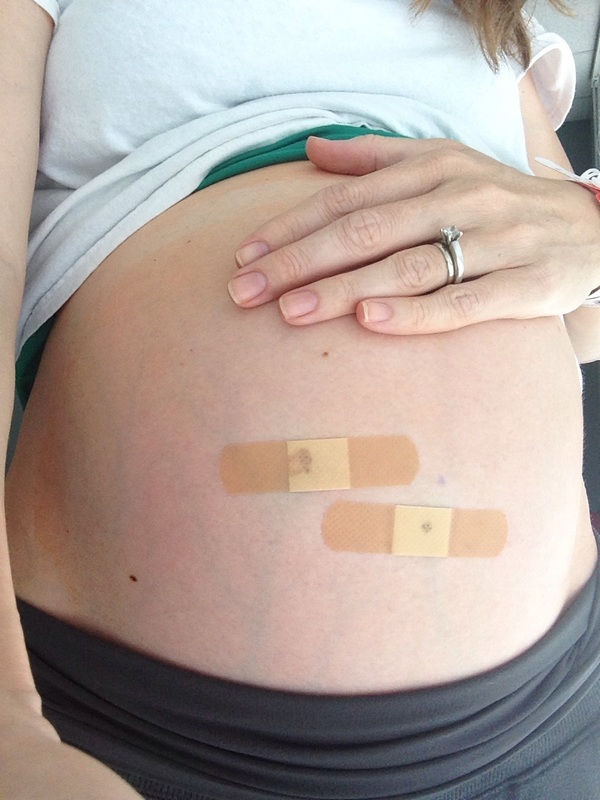 Next they will stick a long needle through my belly (guided by ultrasound) and (hopefully) into the umbilical vein. The doctor will draw some of Nora’s blood and test it right then to see exactly how anemic she is. They will be looking specifically at her hematocrit which tells them the percentage of red blood cells in her blood. Dr. Moise thinks hers will be somewhere in the high twenties. The hematocrit number helps them know exactly how much blood they need to put in her. If they put too much it could kill her and if they put too little she will remain anemic and sick. They also use this number to determine exactly how many days they can go until her next blood transfusion. If her hematocrit is in the high twenties she will need another transfusion in about 7-10 days. If it’s really low, say around 12, they will do another transfusion within 2-3 days. At Lucy’s blood transfusion at 18 weeks her hematocrit was only a 6 and they didn’t even check her again for a whole week after the transfusion. This makes me so sad, knowing she wasn’t monitored like she should have been. By the time they saw her again, it was too late. Anyway, back to tomorrow. After they check Nora’s blood they will give her a paralytic and a medication to sedate her. The doctors need to temporarily paralyze her so that she isn’t moving around during the procedure, possibly kicking the needle out or getting injured. As well as paralyzing her they also sedate her because supposedly, babies in the womb who are paralyzed without sedation REALIZE that they are paralyzed and start to freak out because they know something is wrong and they should be able to move. How amazing is that? A tiny one pound baby has enough awareness in the womb to get anxiety when she can’t move her little arms and legs. That is incredible. So, after she is paralyzed and sedated they will use the needle to put just the right amount of packed red blood cells into her umbilical vein. The doctor will pull the needle out and go in a second time and put more red blood cells into her abdomen. The blood in the vein relieves her anemia immediately and the blood in the belly slowly seeps into her blood stream over time, giving her fresh blood days after the procedure is over. After that, the doctor will draw more of Nora’s blood to test her hematocrit again to see if the transfusion worked and her final blood count is higher. The whole procedure should take about an hour. After it’s finished they’ll take me to the recovery room and monitor Nora and me closely until Nora starts moving again, then they will send me home. I’ll be on bed rest for a day or two. Dr. Moise will do another scan the day following the transfusion to make sure Nora looks healthy and then we do it again in about a week. After that transfusion they will wait two weeks until the next one and 4-5 weeks after that one. Dr. Moise thinks Nora will need 4-5 blood transfusions before delivery. The reason IVIG isn’t helpful anymore is because Dr. Moise will replace all of Nora’s kell positive blood with kell negative blood (temporarily changing her blood type!) After the kell positive blood is gone, there is nothing for my antibodies to attack, therefore we don’t need to try to suppress them anymore. The first two transfusions replace her blood and then the subsequent transfusions are needed because Nora will grow bigger and bigger, therefore needing more blood. Dr. Moise knows exactly how many transfusions she needs in order to keep up with her growth as the weeks pass. Sorry about all of the medical information for those of you who are uninterested (it is pretty boring reading material.) Please pray for baby Nora and for the doctors tomorrow. Pray that there are no complications and that Nora gets just the right amount of blood she needs to overcome the anemia. Also, I would love for you to pray for Josh and me since this is terrifying, especially after losing Lucy a week after her blood transfusion. Josh has to teach classes all day tomorrow while worrying about his baby girl and I have to go through the whole thing without him by my side. I really wish he was here. I know God will be with us, holding us in His mighty hand, filling me with strength and peace. Thank you all for your support and your prayers. 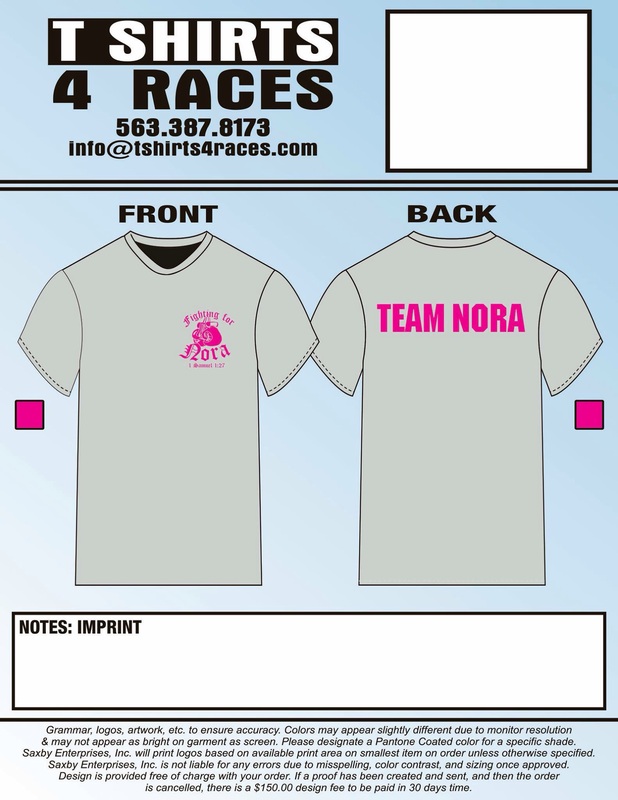 A couple of our friends asked us recently if they could make some “Team Nora” t-shirts to raise money for us while we are here in Houston. I was completely amazed that they thought of us and wanted to do something so wonderful for us. The financial burden has been growing since we moved here, and we still have several months of pregnancy left (hopefully) and a NICU stay after that. The medical costs are more, we have extra living costs (the Ronald McDonald House costs $25 per night) and I can’t work while I’m here (I usually work part-time teaching English in Tuscaloosa), so this fundraiser came just at the right time. I do realize that we spent most of the year last year doing fundraisers for our adoption. I am still astounded by the generosity that we were shown, and although it was out of my control, I often feel ashamed that the money did not result in us bringing “Scarlet” home. Please don’t feel pressured at all to buy a t-shirt if you don’t want to. The shirts are grey and the writing is pink (which just happens to be the same colors as Nora’s nursery at home.) The front says “Fighting for Nora” and the verse reference is 1 Samuel 1:27 “For this child I prayed, and the Lord has granted me my petition that I made to Him.” And the back says “TEAM NORA.” I actually cried when I saw this shirt for the first time because it brought to mind all of you who have diligently prayed for our Nora along the way and it overwhelmed me with gratitude. Throughout this difficult and terrifying pregnancy I have felt like Nora and I had an army of prayer warriors lifting us up and going with us into “battle” each week and it has comforted me more than you know. Whether you buy a t-shirt or not, thank you so much for fighting for our little Nora. Nothing means more to a mother than someone showing love and grace towards her children. For the rest of Nora’s life when I look at her I will think of all of you who helped get her here safely and I will be forever grateful. If you can’t get in touch with Michelle you can also contact Joy Connellan at (205)331-9298. If you are local (in the Tuscaloosa, Alabama area) the cost is $15 per t-shirt. If you aren’t local and the shirt needs to be shipped, the cost is $17 per t-shirt. Don’t forget to include the sizes you need: Adult XS, S, M, L, XL, XXL or Youth S, M, L, XL. Also don’t forget to include your mailing address if the shirts need to be shipped. Thank you all again for your support, and thank you Joy and Michelle for working so hard on these shirts! I’ll post pictures of the real shirts as soon as they come in!